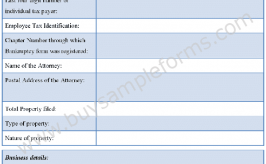 This is a legal document that is issued by the bankruptcy court of a country. 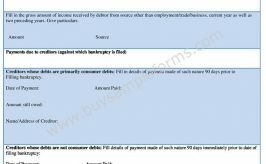 Bankruptcy order forms contain information needed to comply with the needs of the bankruptcy case and discussions between the debtors attorney the creditors and their attorney. Once a bankruptcy order has been made against a debtor, the creditors can no longer pursue the debtor for payment. 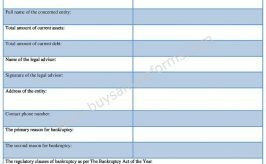 Following an order of Bankruptcy, a trustee is appointed who takes possession of the debtor’s assets towards payment of his debts fairly between his creditors according to certain rules. Payment becomes the responsibility of the trustee. It has to be written clearly by a trained professional so that there is no confusion later during the case. 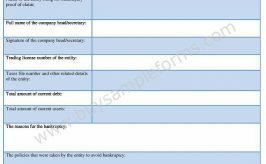 The sample bankruptcy order templates are available online for download. These are in both MS Word and PDF format. Just download, edit if required and print it.